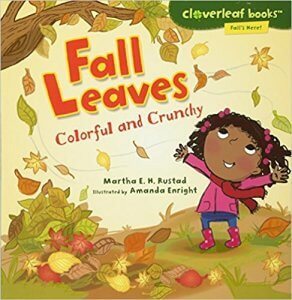 These fabulous fall leaf activities and crafts for kids are sure to be a hit. Fall is a great time to get outside and enjoy the beauty of nature before it gets too cold. While you are outside collect some leaves for some free family activities. Fall is my favourite season. It comes early in northern Alberta and we are already enjoying the warm sunny days and cool nights that accompany the season. The leaves are starting to change colour and soon we will have that one perfect weekend when the hills are ablaze with yellow. It is breathtaking. My boys always enjoyed the fall. We would rake the leaves into huge piles and jump in them- then promptly undo all our hard work with a leaf fight! We tried all kinds of fall crafts and pressed leaves between the pages of old books. Fall is a great time to get outside and enjoy the beauty of nature before it gets too cold. 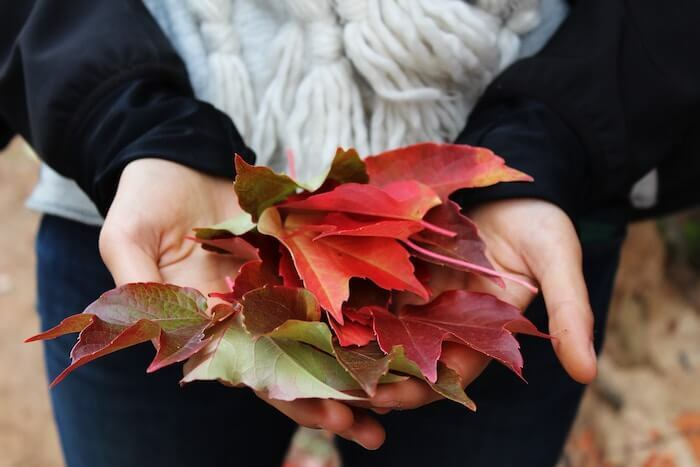 While you are outside, encourage your children to pick up some beautiful leaves and bring them home. Then see what you can create with this free and plentiful craft supply. I have found 15 fun projects, but before you dive in why not see what your children can come up with on their own. Kate describes how to make fabulous leaf crowns. Make one for every member of the family and have a royal procession. The folks at Small and Friendly used leaves to make a colorful leaf mask. This is wonderfully creative and I would love to see what your children might make. The Artful Parent describes how to make leaf doodles. These are really beautiful and could make lovely Christmas gifts. If you have a preschooler head over to No Time for Flashcards to find out how to make a simple leaf butterfly. Hands On As We Grow has posted directions for making leaf finger puppets. These are so cute! Make a bunch and then create a puppet show with your children. Older kids might enjoy making luminous leaf lanterns. This would make a wonderful centerpiece for your table. Thread leaves onto string to make a leaf garland, from Adventures at Home. Head over to Creative Child to find instructions for making some fabulous leaf art. These marbled clay autumn leaves– From Rhythms of Play are easy enough for young children to do. These leaf sun catchers from Fun At Home With Kids is something that all ages can enjoy. Older children can cut their own leaves and younger ones might need some help. I love these DIY handprint leaf napkins from Glued To My Crafts. They would make lovely napkins for Thanksgiving. These easy marbled fall leaves are delightfully messy, so I think any kid will enjoy making them. If you are enjoying a warm fall day you might want to do them outside! This bright rolling pin fall leaf painting from Fantastic Fun And Learning caught my eye. What a fun activity. A classic craft get a seasonal twist with fall leaf potato stamping from How Wee Learn. My boys always loved stamping there is something almost magical about making an image. It never failed to impress! 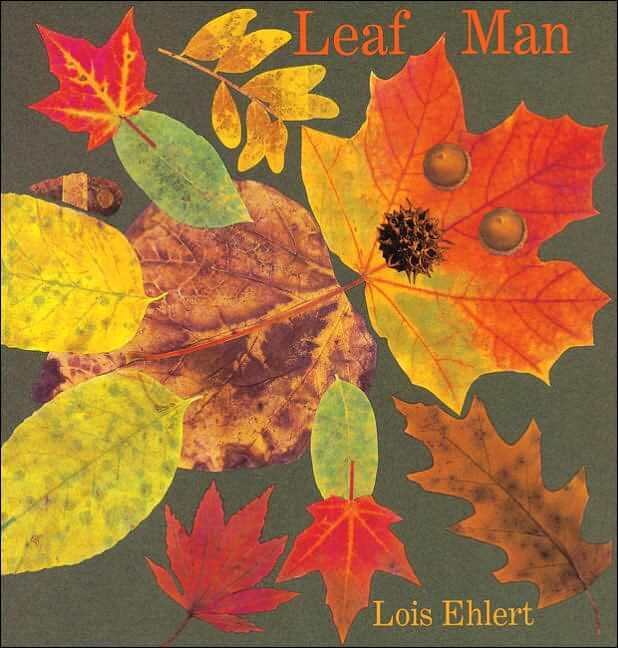 A great book to enjoy at this time of year is Leaf Man by Lois Ehlert. It is fall and Leaf Man is on the move. Wherever the wind blows leaf man goes. 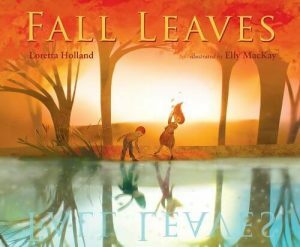 All of the illustrations in this the book are created out of leaves and set against backgrounds of textured paper. It is a delight to look through and children love spotting the various things made from leaves. This playful book celebrates the natural world and the imaginations of children. 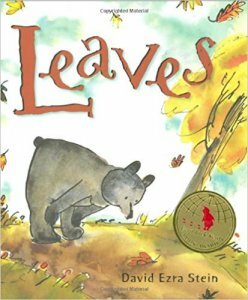 At the end of the book the readers are encouraged to listen for “a rustle in the leaves” and find a Leaf Man of their own to take home. 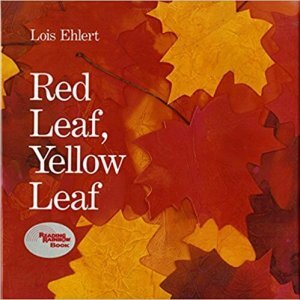 The story is very simple, but it will inspire nature walks and all kinds of art projects. What is your favourite fall activity? What kinds of things do you like to do with your family at this time of year?What’s your favourite way to use real leaves in fall-inspired crafts? Looking for more fall activities to enjoy with your children? What a great list of autumn leaf activities… almost makes me wish it was Autumn… well not really as spring has just begun here and we are so looking forward to some sunshine! Thanks for including our crows! Enjoy your spring sunshine – Autumn is bittersweet – such a glorious season, but it heralds the approaching winter. Oh my goodness, what fantastic ideas! It’s spring over here atm, but when the leave start to fall in 6 months or so, I now have some lovely ideas up my sleeve with what to do with them 🙂 I don’t even know if I can pick a favourite … I love the candle holder and the toilet roll creatures and the butterfly and the doodles … am I allowed four favourites?? You can have a s many favourites as you want!! I loved all these ideas.Actually doing the searches to find these things was really fun. There are so many creative ideas out there. These leaves ideas are fabulous! Thanks so much for coming to visit my site. I am excited to explore yours now too. We are just starting Spring, but fondly remember Autumn this year. My boys just love making piles of leaves and jumping in them, throwing handfuls at each other and collecting as many varying types as they could find. I just love that mask! I can understand that. I think I would miss Fall…. although come next March I will be wishing we didn’t have winter! This is a lovely idea! Although we are in Spring in Australia, there’s always plenty of leaves in our yard and I can’t wait to do some of these activities with my son. I have featured your post for Mummy Mondays tomorrow! Ohh how lovely! I would love to see what you made. Oh what beautiful pictures! Thank you so much for sharing. I love those leaf lanterns. I’m glad you have reconnected with your photography. Isn’t it amazing how many things you can make with leaves? Thanks for sharing this fun list! I’m constantly amazed at the creativity out there. Who would have imagined it was possible to make so many lovely things? A great round up of family fun ideas! Can’t wait to try out with my boys. Thanks for sharing at Magic Moments Monday!